Towards the end of last year, Worldwide Flight Services (WFS) became the majority shareholder of Fraport Cargo Services (FCS) and changed the name slightly into Frankfurt Cargo Services (FCS). The new FCS took over the WFS cargo handling in early February and now reveals that the merging of both WFS and FCS has been successfully completed. WFS has given up their old cargo handling facility at Frankfurt’s Cargo City South and moved over, along with their airline customers, to the FCS facility. A reshuffling of the available warehouse floor space took place to accommodate the WFS tonnages and documentary handling of the carriers on WFS’s books is still being done by Worldwide’s own staff. ITG took the top honors at LH cargo’s sixth annual Quality Awards for German Market players. Best Delivery Quality and Quality in e-Cargo awards went to the Munich-based forwarder. ITG which came out on top of 40 contestants for the second year in a row with the Best Delivery Quality prize. 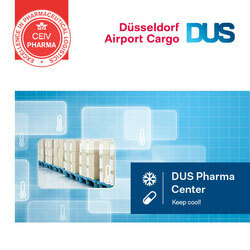 Dachser was honoured as best for quality among forwarders who handled more than 10,000 air waybills per annum. Other winners were Expeditors, UPS and DB Schenker. KF Cargo which has its main Canadian base in Kelowna has decided to quit their Toronto base after only just over ten months of operations there. The Canadian freight airline had intentions of developing their Toronto Pearson base for long-haul overseas operations to Brussels, Belgium with their two DC10-30F aircraft. The reason for quitting Toronto is said to be because of a present glut of belly capacity between Canada and European destinations, thereby giving KF little chance to generate tonnages and revenues. whether they may be retired from service altogether. KF cargo still has six Boeing 727-200 freighters which are also under storage in Hamilton and present cargo operations within Canada are carried out with their six Convair CV-580 freighter aircraft. 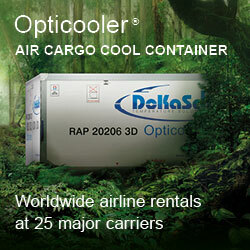 These are on a longer-term contract with Purolator Courier. 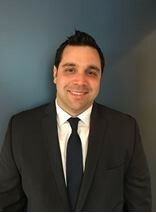 John Giannitelli who was previously employed with Aer Lingus in the U.S. where he ran the sales and reservations department, has been appointed as Virgin Atlantic Cargo’s new USA Regional Sales Manager. John will be based in at New York’s JFK airport and will be responsible for developing and driving Virgin Atlantic’s revenue performance. Before joining Aer Lingus, Mr Giannitelli spent nine years with Qantas and was responsible for the U.S. East Coast Sales. Swissport International has been providing ramp handling services in Helsinki for Finnair since 2011. Both companies have agreed on an extension of the existing contract until 31 October 2020. The move is seen by both parties as proof of the good cooperation during the past years and in view of aiming for improved operations and service efficiency in Helsinki which is Finnair’s main hub. 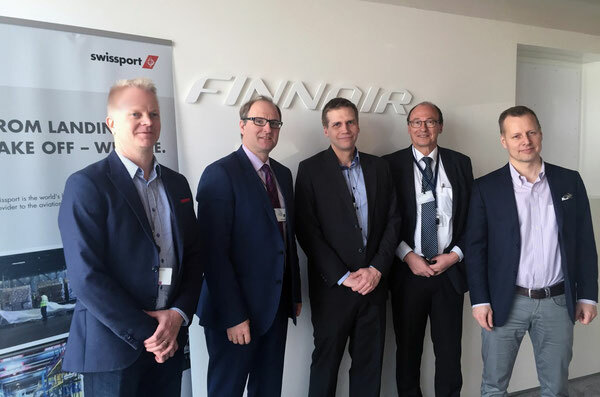 Finnair has been steadily increasing the number of flights into and out of HEL and apparently sees Swissport as being a major partner in their aim to grow further and further optimize standards and quality there. CEVA Logistics, one of the worldwide leading supply chain management companies has added Stephen Dean to its USA management team as Senior Vice President Business Development - Contract Logistics. Mr Dean will take up his new position in Jacksonville, Florida and reports directly to the Executive Vice President Business Development North America. Stephen Dean has twenty-five years of experience in contract logistics and has been in the logistics business for more than 30 years. He previously held senior positions at Menlo Worldwide, Ryder Systems and Con-way. He is said to be well acquainted with the so-called LEAN methodologies and practices, which are an important factor in CEVA’s international activities. Meanwhile, U.S. charter carrier Atlas Air, a unit of Atlas Air Worldwide Holdings, flew 97 tons of staging and musical equipment with one of their Boeing 747-400 freighters from Mexico City to Havana, this way helping the Rolling Stones to perform their historic con-cert in the Cuban capital. The Rolling Stones performed a free concert in Havana on March 25 -- the first open-air performance in the country by a British rock band. Including shipment by sea, the concert required 61 containers with an estimated 500 tons of equipment.